After our extensive remodel the Issaquah Jewish Public Library (IJPL) is once again fully operational with books on the shelves and more to be processed. 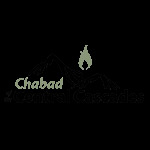 Located in the New Chabad House at Black Nugget Rd. corner Highland Dr. The IJPL is open to serve the community, both Jewish and non-Jewish, with something of interest to all. The children and young adult collections are now located in a corner of their own allowing for specialized programs for these age groups to be created, sometime soon. If you haven't visited us yet, please stop by and check out what we have to offer.